2000hrs to 2100hrs 6 birds seen above Neddy Hill area. 2030hrs At least 15 plus between Neddy Hill and over Royal, some chasing one another in follow my leader fashion. Could have been more birds - seemed local - light drizzly rain - ideal feeding conditions. 1215hrs One Swift seen Neddy Hill then making its way down over Manor Hse and out of sight. 1230hrs at least 8 birds hawking over the River Kent at Kendal. 2100hrs - 15 Swifts above Memorial Hall, Royal areas, looked local with behaviour, though difficult to tell whether some of these are movers joining in. Will be interesting to see if there are more showing tomorrow. 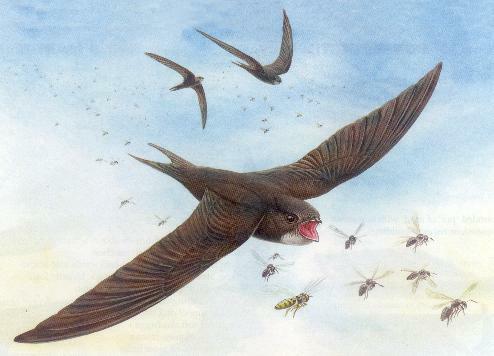 1000hrs - Three Swifts (could well have been more) hawking the skies at intermediate height between Royal and Manor. 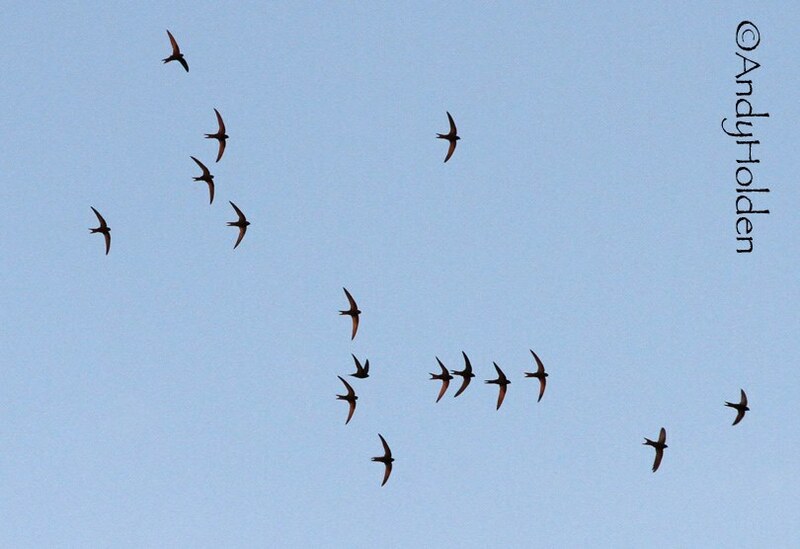 Also recorded from Painswick Beacon in Gloucester 1478 Swifts heading South over 6 1/2 hours AM. 1715hrs - Two Swifts seen between Royal and Manor. Also one seen to leave nest at Gable Cottage on same row as Post Office. 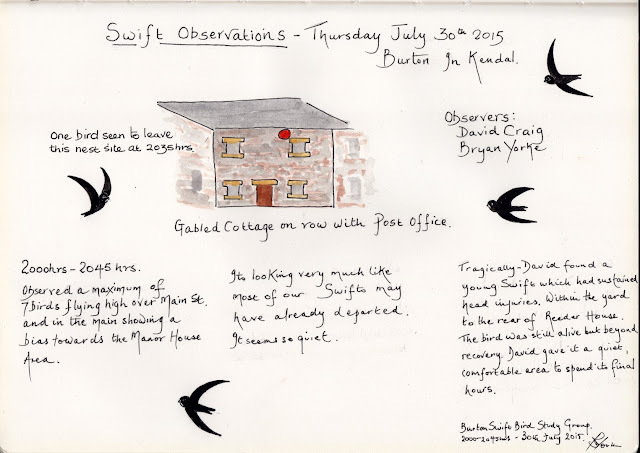 Thursday 30th July 2015 - Swift Observations down Main Street, Burton In Kendal 2000hrs to 2045hrs. I think next week may well be our last "observation" night, we'll see what this week brings. I am hoping to do a brief daily check and will report any findings above.